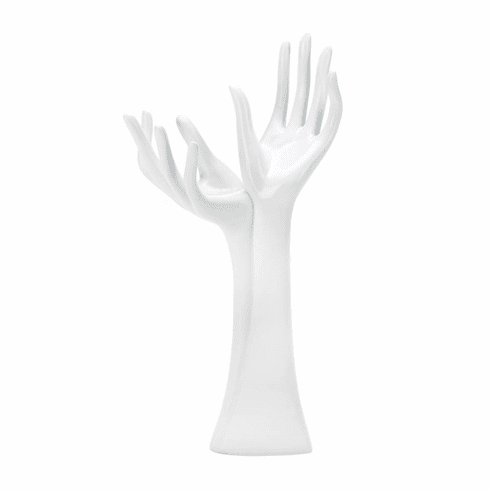 If you could use a hand (or two) to keep your jewelry organized, this beautiful statuette can help! 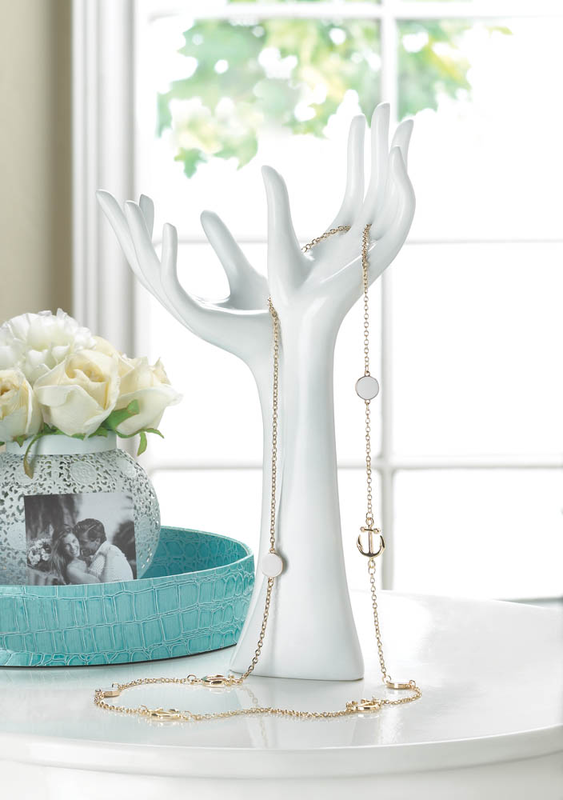 Two sleek and slender hands reach up to keep your necklaces, bracelets and rings in order. Even when empty, it looks like a modern work of art. Item weight: 1 lb. 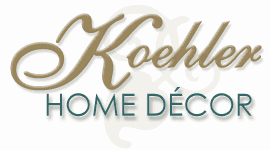 7" x 3 3/4" x 12 3/8" high. Polyresin. Contents not included. UPC: 849179019747.